Each year I visit the annual Origami convention in New York City, and this year, as always, I was impressed by the wide range of works on display. The mathematical examples get more sophisticated each year. Here are just four examples to illustrate a range of folding styles. The above is the symmetric compound of six pentagonal prisms, designed and folded by Daniel Kwan. 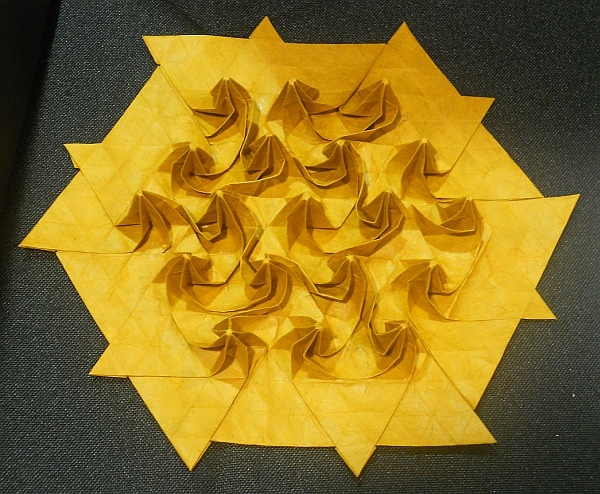 This hexagonal swirl tessellation was designed and then folded from one sheet of paper by Jon Tucker. 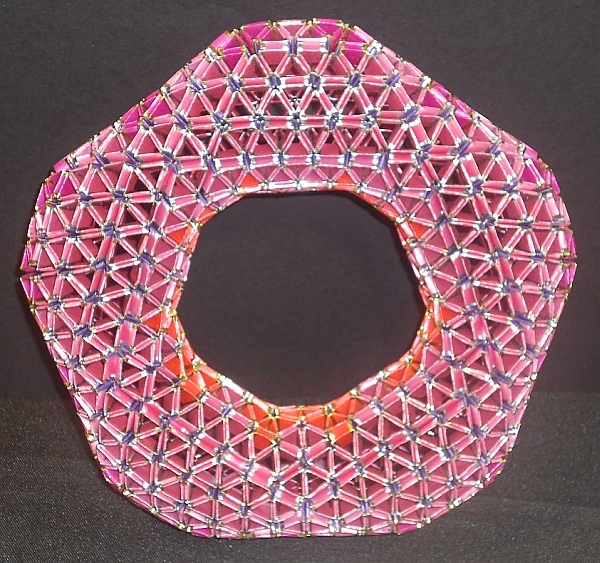 This pentagonal torus is a modular design assembled from a great many small folded units. 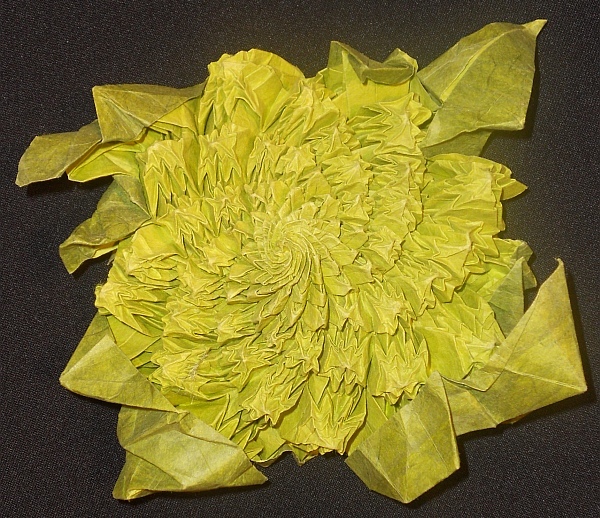 It is designed by Heinz Strobl and folded by Faye Goldman. And Brian Chan designed and folded this amazingly complex fractal from a single sheet of paper. It is a model of a Romanesco broccoli, true even to the Fibonacci numbers displayed in its phyllotaxis. There are eight spirals in one direction and thirteen in the other direction. 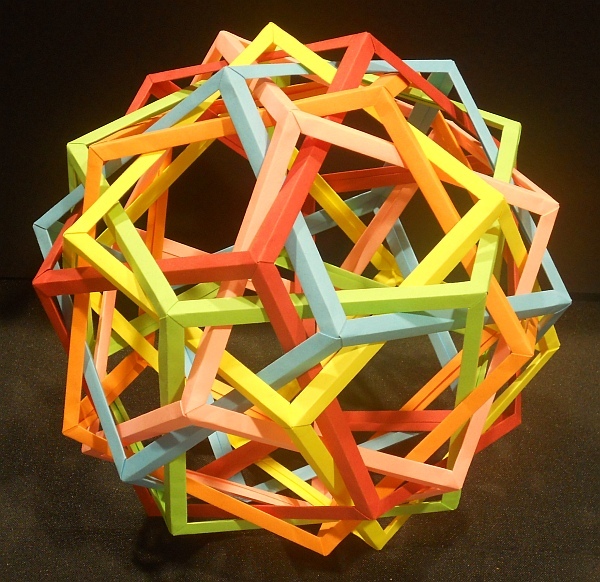 Many books and internet resources are available if you want to start making your own mathematical origami. This article first appeared on Make: Online, August 9, 2010.